It has been 30 years since the day Gunnar Morberg founded GuMo 24th october 1980. At the time he was often engaged to look after properties in the ski area. In time he saw the opportunity to start his own business as a Property manager and Vacation rental agency. By 1994 Gunnar decided that he was ready to move on and Yvonne and Lasse Aronsson took over the business. They led GuMo until 2009 when their daughter Kicki Arons­son took over the helm. It was when Kicki took over the business that GuMo moved the office new purpose built premises opposite 8848 in Sälen. Today GuMo is one of the most skilled providers of Self catered holiday accommodation, with rental properties all over Sälen. 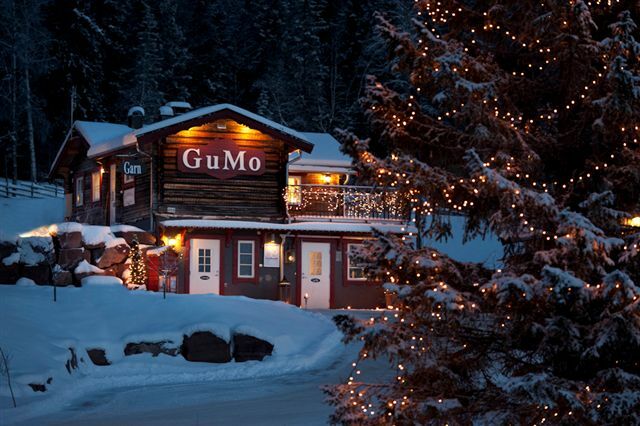 GuMo lets and manages about 520 properties from simple cottages to luxury chalets. We can provide rentals of a wide variety ranging from 2 to 22 beds. The properties are privately owned and convey a personal character. Large, small, primitive or luxurious, close to the slopes or by the edge of the forest and the cross country track nearby, all the properties have a personal touch. Some of the cottages are in a ski-in ski-out location and some are situated close to nature, just a few minutes away by car from the ski area. If the cottage is not right next to the ski area it usually has access to the Ski Shuttle bus that links the ski areas of Lindvallen, Sälenstugan, Högfjället, Tandådalen and Hundfjället. To see the Ski shuttle route nearby your selected cottage, click on the Map button when you view the cottage on our website. The route is shown as a dotted line on the map. Apart from being a Rental agency we also are also manage properties, store keys and have a key service for cottage owners who let their own properties. We look after your property and help you to find tradesmen if needed. Find our more about our services under the heading Our services. Renting you holiday accommodation from us also means that you choose a vacation rental company that has a good local knowledge, because we are natives to this natural paradise. And last but not least, we are said to be both straightforward and pleasant to deal with, something we attribute to the fact that we really enjoy what we do. Welcome to GuMo!